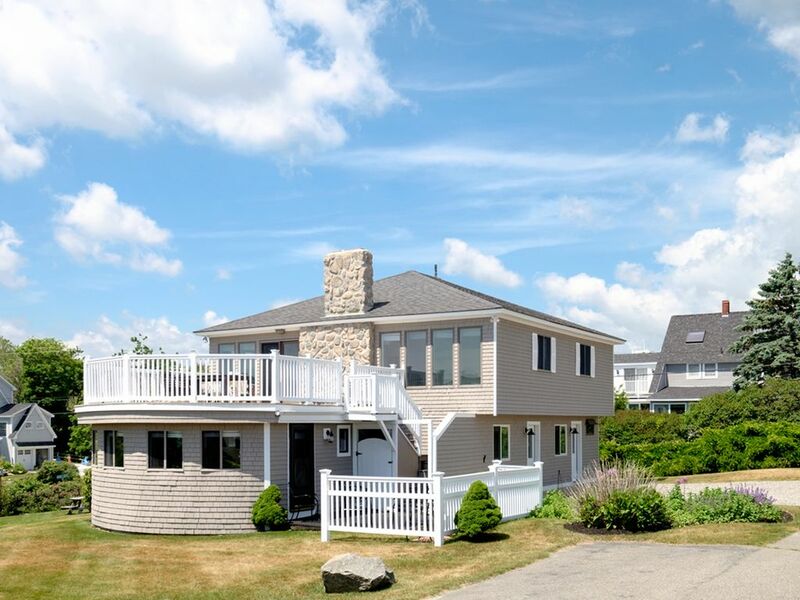 Enjoy a dream vacation overlooking the water in York Beach, Maine. Sit on the deck that comfortably seats 16 people, take a stroll 5 minutes up the street to Dunn's Ice Cream, Fox's and Nubble Lighthouse or walk to Short Sands Beach in less than 10 minutes! Our property is one house with two units. We rent the house as a whole. Enjoy a house with plenty of parking and 4 bathrooms and 7 bedrooms between the two units. Kitchen with dishwasher, island, stainless steel appliances, microwave and table. Living room is 12 ft x 17 ft with ocean views and access via sliders to the deck. Air Conditioning, Washer & Dryer, broadband wireless Internet, Cable TV, Keurig Coffee maker, iron and ironing board. This is a newly build unit in the spring of 2013 with everything new including furnishings and appliances. Full kitchen with dishwasher, brand new appliances and table. Living room is 13 ft x 13 ft.
Washer & Dryer, Internet, Cable TV, Keurig Coffee maker. Please visit our social media profiles for more information on the house and to hear all about the wonderful things York Beach and Southern Maine have to offer you and your family for a wonderful vacation! * You must be 25 or older to rent this property. Great gathering space for a large family! Centrally located. Everything we needed for a long wedding weekend in York.